I’ve had a few queries recently about foods or therapies that might boost your fertility for those who don’t have a proven cause, and it struck me that the important thing to remember about unexplained infertility is that it is only “unexplained” because doctors can’t find a cause – it doesn’t mean that there isn’t one! Unexplained infertility is a frustrating diagnosis, and it is very tempting to try to find your own cause – is it stress, working too hard, eating the wrong things? Once you start searching, the potential causes are apparently never ending – as is the amount of money you can spend trying to reverse them. The number of fertility “experts” offering all kinds of therapies and support seems to increase daily and it is important to think before you opt for using their services or their expertise and apply the same kind of discretion that you would when purchasing anything else. As attractive as it may sound, no amount of relaxation or diet change is going to unblock a fallopian tube or reverse an early menopause. Most people are only too aware of that, but it’s those whose fertility is unexplained who are more vulnerable to the idea that the chances of getting pregnant could be influenced by changing the way you think or what you eat. Changing your diet and lifestyle so that you feel fit and healthy when you’re trying to conceive is an excellent thing to do, but it’s simply not true that eating specific foods will make your fertility treatment succeed. 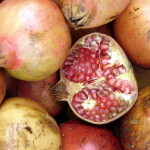 I read an article from a national newspaper this morning with a list of foods to “boost” fertility – in the comments underneath someone had suggested that one of them was traditionally used to terminate pregnancies. 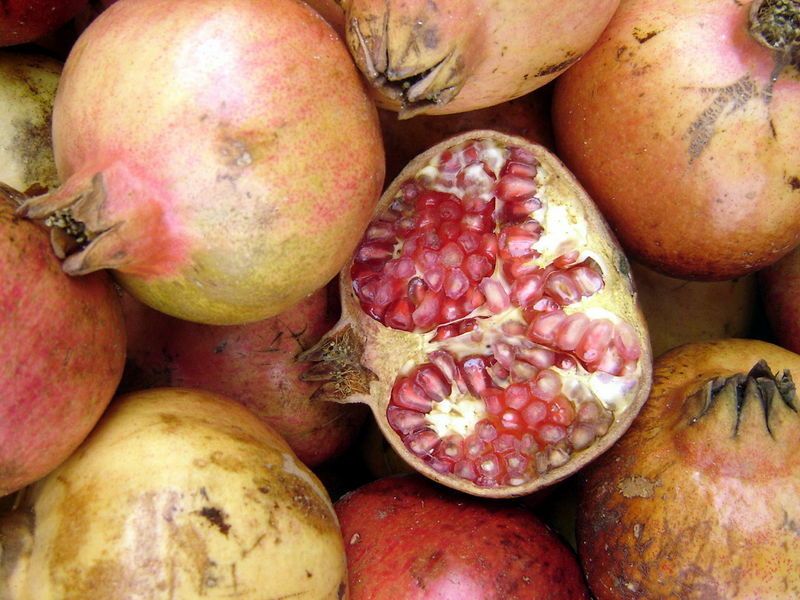 I thought it couldn’t possibly be true, but a bit of googling did find some evidence that perhaps it might not be the top fertility food suggested – for the record, it was pomegranate, which the article had listed as a fertility booster. 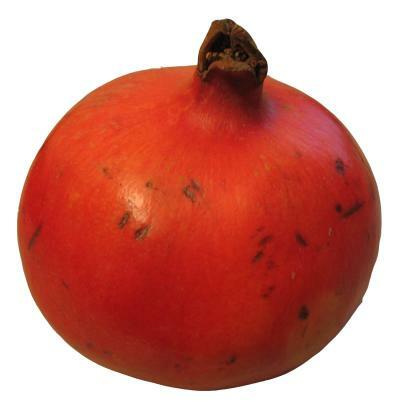 Although the juice and fruit is thought to be fine, animal studies have found that pomegranate seed extract can stimulate uterine contractions – see this research from the University of Maryland and this from the University of Liverpool. In reality, eating a pomegranate is certainly not going to stop you getting pregnant and there is no evidence to suggest you should avoid pomegranates when you are trying to conceive – but equally, it’s possibly a rather strange choice to list as a “fertility booster”. I’ve had a really interesting couple of days at the European fertility conference ESHRE which is being held in London this year. It has been fascinating to meet people from around the world who are involved in the fertility field and to look at different issues from different perspectives – from the lovely Kenyan doctor who is working to set up a fertility support group to the IVF baby who was so inspired by the story of her conception that she’s training to be an embryologist! One theme that emerged from a number of discussions over the last couple of days was unexplained infertility and sperm DNA damage – last night I was very excited to meet Professor Sheena Lewis, the leading expert in this field, whose research has shown that sperm DNA damage is the key to unexplained infertility. This morning I met a Danish expert, Preben Christensen, who is working in a similar area. He said that he had seen lifestyle changes make a real difference to the fertility of men who had been unable to conceive because they’d been drinking large quantities of fizzy caffeinated drinks or eating huge quantities of chocolate every day – and even taking scalding hot baths. He recommends testing for DNA damage and then not only lifestyle changes but also taking vitamin supplements such as Vitamin D, zinc and selenium all of which can affect sperm. It does seem that there is increasing evidence that this is a really important factor in fertility – but one that is not yet part of the routine round of tests which are carried out at clinics. Unexplained infertility – could the cause be found? Being told that doctors can’t find a reason why you can’t get pregnant can be hugely frustrating – and often means that people end up blaming themselves, making endless lifestyle changes or paying for lots of complementary treatments in an attempt to improve their fertility. Now, researchers from Belfast claim that they’ve discovered a cause for many fertility problems which have been classified as “unexplained”. In a study of more than 200 couples, they discovered that there was high sperm DNA damage in 80% of the couples who’d been told their infertility was unexplained. The research – which has been published in Reproductive Biomedicine Online – also revealed that the chances of getting pregnant after IVF is linked to the amount of DNA damage in each sperm. Some DNA damage is normal and is found even in perfectly fertile men, but when levels are high this can reduce the chances of having a baby even with fertility treatment. You can read more about the research here. If this is indeed the case, it could herald a huge change in the diagnosis and treatment of many couples with fertility problems.